Here is the latest AccuWeather Regional Radar. Purple is freezing rain (freezing drizzle is falling in some of the areas that show up blank). The blue (usually snow) in western Oklahoma is sleet. 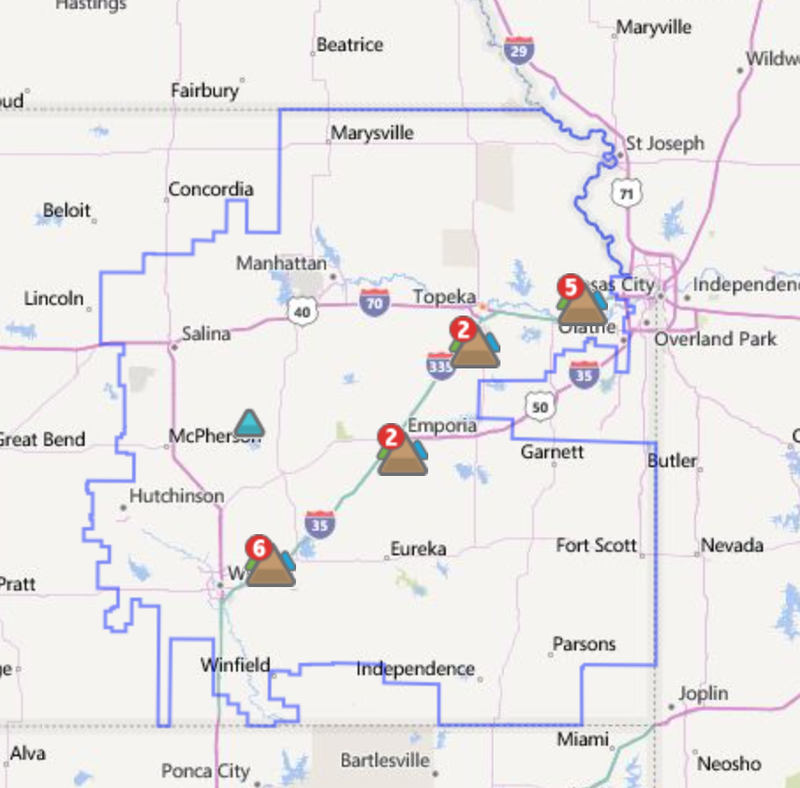 The map is the number of clusters of outages in each reporting area. However, total number of people affected is only about 500 (easy for me to say, I have power and am warm) and the situation is improving. However, it is a completely different situation in Oklahoma. 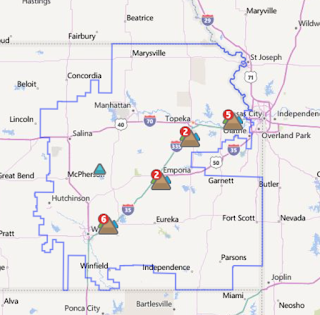 Much of Oklahoma City and central and western Oklahoma are without power. It is so serious, I can't get to Oklahoma Gas & Electric Co.'s site to get an updated map to post. If you were considering returning to Oklahoma today, you may want to keep that in mind. 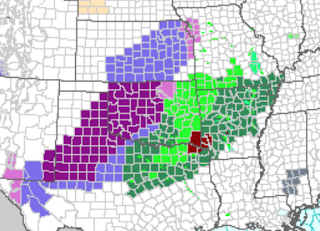 There is also severe flooding in southeast Oklahoma and southwest Arkansas. Purple is the ice storm warning. 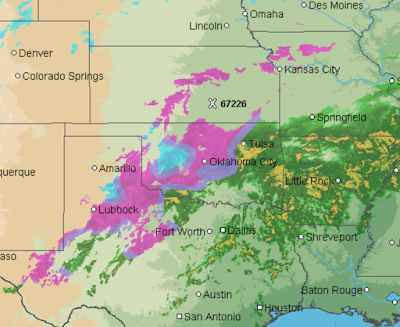 Freezing rain is now occurring in West Texas.